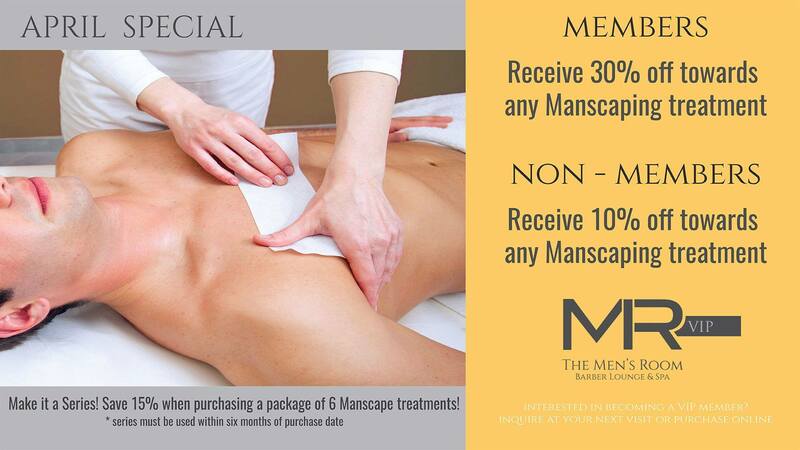 Our MR VIP Memberships are perfect for those of you who take grooming seriously! Experience Extraordinary Savings! (This service is available on a walk-in basis only during all salon hours with the first available Grooming Specialist). Our Classic Cut with an invigorating scalp massage, steamed towel and face refresher. A custom tailored cut, hot lather, straight razor edge, wash and style. Just a cut, hot lather, straight razor edge, style and go! *Promotional e-gifts may not be redeemed for membership purchases. 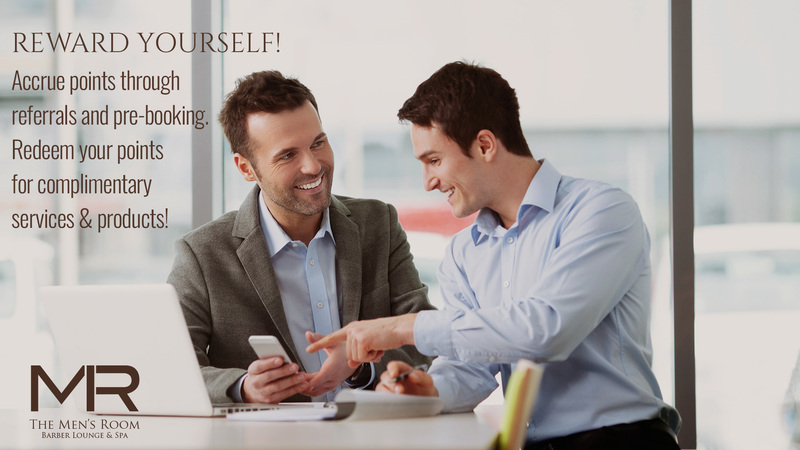 Earn points through referrals and pre-booking appointments. Redeem points for complimentary services, because you deserve it! Come to The Men’s Room and find out more about how you can gain points faster and get the benefits that will keep you looking your best.